Now and again, I receive a call or a question from someone who appears to be under the impression that their Provincial or Municipal Historic Resource cannot be “altered” and that it must be “preserved” as is. That is not entirely true. Under Alberta’s Historical Resources Act, “no person shall destroy, disturb, alter, restore or repair any historic resource…without the written approval from the minister (Section 20-9)” if the site is a Provincial Historic Resource. For Municipal Historic Resources, the written approval must come from “the council or a person appointed by the council for the purpose (Section 26-6).” To obtain a written approval, the proposed alteration must be evaluated under the Standards and Guidelines for the Conservation of Historic Place in Canada. The Standards and Guidelines is a pan-Canadian document that is used as a tool to evaluate and sometimes enforce certain principles in the conservation of our historic resources. There are four major components to the document: the conservation decision-making process, the conservation treatments, the standards, and the guidelines – with each component going into more and more detail. The most critical of these is the “conservation decision-making process”. This process involves three stages that I like to refer to as the acronym U.P.I. (pronounced whoopee!) or Understanding, Planning, and Intervening. The designation of a historic resource implies that we are trying to conserve it for future generations as part of our shared heritage. Understanding why a designation was put in place is the first step in determining what can and can’t be touched. This is summarised in a Statement of Significance (SoS). Each designated historic resource has one. If you do not know what the SoS for your designated building contains, you can search for it on the Alberta Register of Historic Places. Planning is the most important part of any project and for historic resources it is critical in order to avoid mistakes and the potential damage or loss of heritage fabric – usually listed as character-defining elements within a SoS. As a Heritage Conservation Adviser, it is part of my job to help you understand and plan (and subsequently recommend approvals for Provincial Historic Resources) for projects that will affect your historic resource before any intervening occurs. When someone indicates to me that they will be going straight to an intervention (i.e. actual physical alteration to a historic resource) without any understanding or planning having taken place, I will tend to react like the guy in this video clip. Ok, well maybe on the inside. Suffice it to say, that intervening without understanding or planning is not recommended. Although I did find the guy in the video’s treatment of the new homeowner’s lack of respect for their heritage building interesting – would you agree?! Many municipalities are busily writing Statements of Significance (SoS) for their historic places. Listing Municipal Historic Resources and Provincial Historic Resources on the Alberta Register of Historic Places requires a SoS, but that’s hardly the best reason to write one. Statements of Significance are not online plaques, histories or even calls for help. A properly written SoS explains why we value a particular historic place, linking these values to physical, character-defining elements that manifest those values. If you would like to see an example of a SoS just look at the entry for any Municipal Historic Resource or Provincial Historic Resource listed on the Alberta Register of Historic Places, such as the SoS for the D.U. Ranchlands Cabin. A Statement of Significance explains where a historic place is located (a quarter section in the M.D. of Pincher Creek), what you will find at the site (a one-room log cabin) and the reasons why the community feels the place is significant. 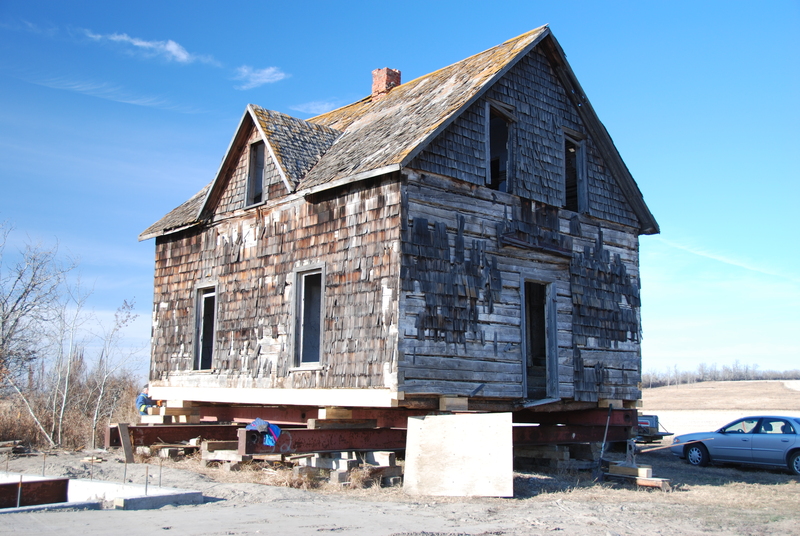 A SoS does not describe a place’s history (such as who built it), it explains why the community values the place (as an example of an early 1900 homesteader’s cabin). A SoS relates these values to physical elements that must be conserved (wood log construction). Removing these character-defining elements would undermine the place’s significance; without these elements, the site would no longer be a historic place. Without understanding historic places–why each is valued and how each exhibits its values–nobody can objectively determine how proposed alterations will affect a historic place. Many historic places have been scarred by well intentioned “repairs” that didn’t take into account why it was significant. A Statement of Significance may not be a call for help, but these documents do help in planning for and managing the effective conservation of historic places.